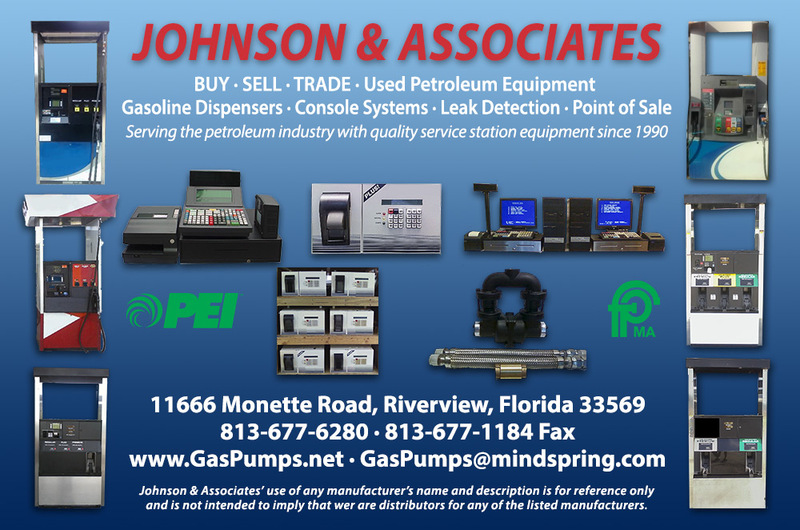 Johnson & Associates has been serving the petroleum industry with quality service station equipment since 1990. At Johnson & Associates we can supply you with a wide selection of previously owned equipment. Johnson & Associate's use of any manufacturer's name and description on this web site is for reference only and is not intended to imply that we are distributors for any of the listed manufacturers.